Popular speaker, author, and marriage counselor, Dr. John L. Lund shares his wealth of knowledge, insight, and humor on the all-important topic of improving communication and strengthening marriage relationships. In this four-talk set you will laugh as you and your spouse see yourselves in Dr. Lund's descriptions of the differences between men and women and how we communicate. You will be enlightened as you take his Love Language Quiz and find out how to speak your spouse's love language. You will learn how to use active and reflective listening skills to resolve conflict in your relationships. Finally, you will understand the art of giving an apology and accepting responsibility. 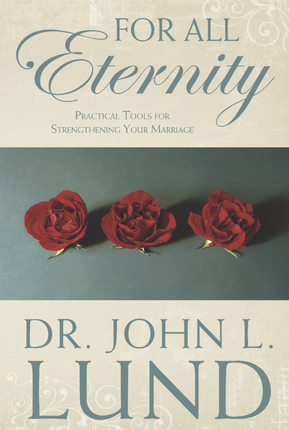 All of these tools and more, combined with Dr. Lund's trademark humor and stories, will make this set an important resource in strengthening your marriage and helping it last For All Eternity. My husband and I got this as a wedding gift from one of my best friends. We listen with open hearts and I have to say that it was a great tool to rely on. Our relationship is great, we have an incredible communication. I hope every home has one copy! My cousin of that had been married for two years told me about a week before my wedding that I needed to read this book. I didn't think that it would be as good as she said it was, she said it "saved" her marriage. And you know what.... it really really helped mine grow. Even though I have only been married for about a year now, I have used concpets from this book that I will take forever, if you want to improve your marriage in anyway; in communication, love, intimacy or spiritual well- being, you must READ THIS BOOK!!! All married couples should listen even if they think they're happily married. Very good advice! All married couples should listen to these CDs even if they think they’re happily married! Very good for struggling couples! When he talked about criticism he skipped around a bit. If you want an outline of several topics he talked about you can go to Dr. Lund’s website www.drlund.com and click on the tab, “Ed. Materials,” and choose “Quick Check Guide to Criticism” or choose “The Magnificent Seven.” You can also click the tab, “Quizzes,” and choose “The Love Language Quiz. Single,Married,Divorced can use this to improve. I am a divorced empty nester. I wish I had known about this when I was married to my "eternal" companion. We might have made it. Single, married or divorced, this cd set can help to improve everyone's dealing with everyone around them. I love it. On my 2nd time through and absolutely love him and his simple gospel centered truths to help us better ourselves. Dr Lund helped me to pull the knowledge of communication styles together for me. He brings out many correlations between knowledge of communication and actually using what you know. Very helpful and extremely insightful CD. Thank you for offering it. Dr. Lund also presents the information in a very humorous way. My family and I listened to it and had a great time. Great for families, friends, and for premarriage/marriage relationships. The helpful questions included inside are revealing as well. High quality product. Worth listening to again and again! My husband and I were seriously considering getting a divorce. We decided instead to get counseling and to work on improving our marriage. I picked up a few books and talks on CD from the bookstore, one of which was Dr. Lunds "For All Eternity". I have listened to this CD over and over again. 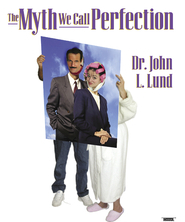 Dr. Lund has an upbeat, humorous approach to marriage and I enjoy his insights into the differences between men and women. I can't say that this talk alone saved my marriage, but it certainly helped! My husband and I have a much stronger, sweeter and fulfilling marriage than we did before. All couples, whether married, engaged or just dating will benefit from this CD. I really enjoyed this CD Set. I would suggest it for anyone preparing for marriage or even someone who wants to improve their relationships. His style is comfortable and his message Gospel-Centered. These talks are amazing. They help so much in making a good marriage a great one. This is a great gift for newly weds! Great Resource from an expert! 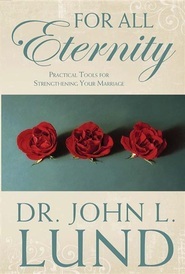 For All Eternity is a tremendous resource that helped my wife and I think about some of the 'nuts and bolts' within our communication patterns. We were surprised to realize not only all the things we share in common, but those things which make us different and unique. Dr. Lund's talks helped us to treasure those unique qualities that each of us possess. I would recommend these talks to anyone who has the desire to improve their marriage relationship. An absolute must-have for anyone who is married or considering getting married. It's even great for someone who's NOT married. It has truly opened my eyes as to why I act the way I do and why my husband, kids, parents, friends, etc. act the way they do. I am going to order one for all my children and am currently ordering one as a wedding gift. GOOD STUFF! My husband and I were having serious problems in our relationship. We were even contemplating divorce. We found this tape in the bookstore. After listening and applying the lessons, we have successfully repaired our marriage. All of our family members are getting a copy for Christmas. If it saved our marriage, hopefully it will significantly improve (and prevent the problems we had) the relationships of others in our family. It is very practical and helps one learn how to communicate with others.